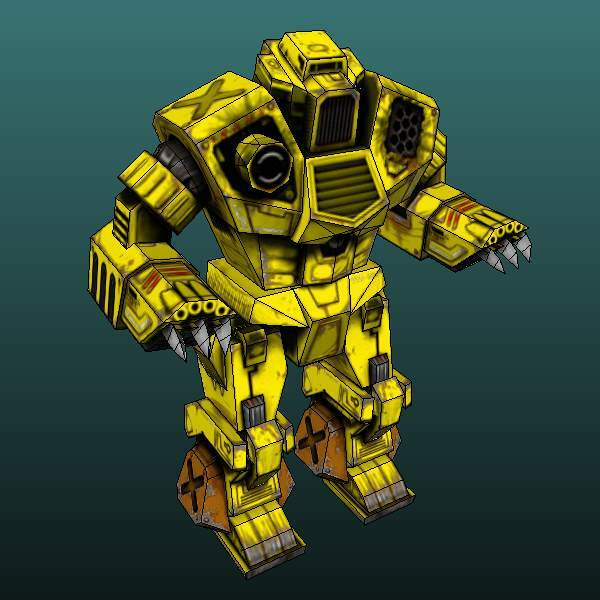 "The Kodiak's primary armament consists of devastating short-range weaponry... 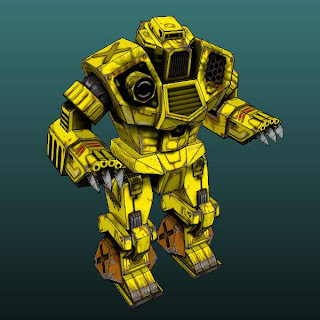 These powerful weapons enable the Kodiak to savage any foe, but care must be taken with the limited ammunition at the MechWarrior's disposal. The 'Mech supplements its primary weaponry with eight Series 2a ER Medium Lasers, four above each hand set into a claw-like array." The template for the model was created by Blaar at the Mech3.org forum and may be downloaded here.